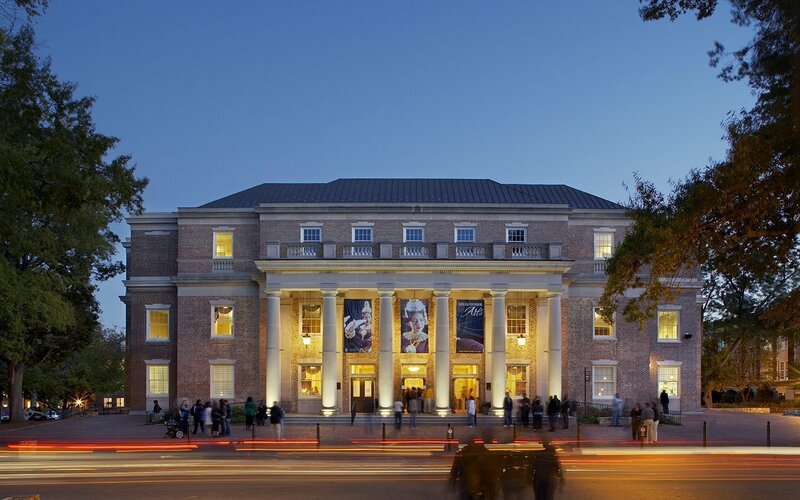 The University of North Carolina at Chapel Hill’s historic Memorial Hall was the University’s primary performance venue, with events drawing audiences from the surrounding area as well as the campus. 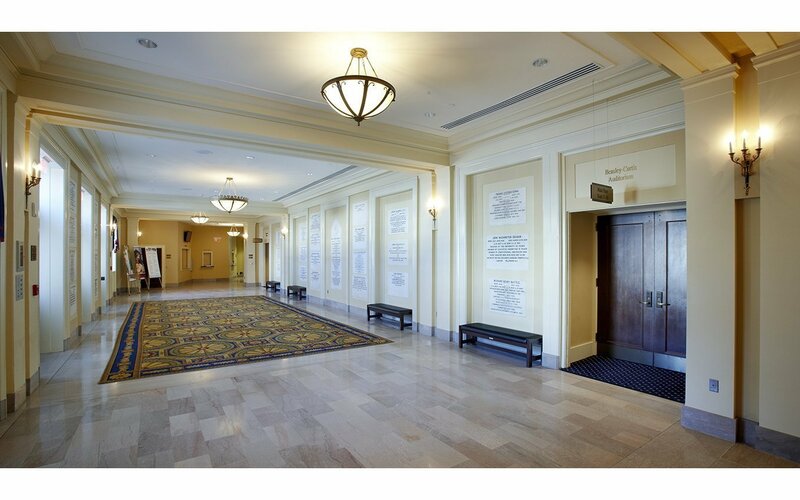 The 1930’s building was outdated and badly in need of a physical and acoustical upgrades. 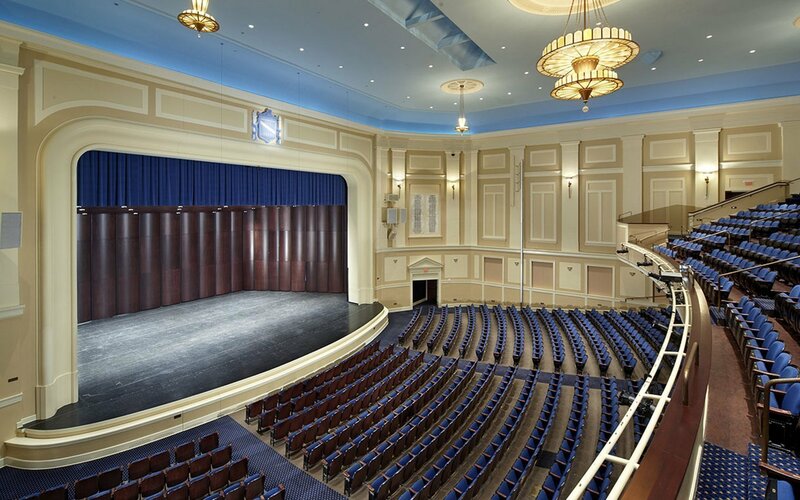 Leading a team of acousticians and theatre consultants, CJMW brought Memorial Hall into the 21st century while preserving its unique and beautiful characteristics. The existing stage house was too small, limiting the professional circuit shows able to perform at the venue. To expand available shows, the existing stage house was replaced by a new, larger stage house and scene dock. 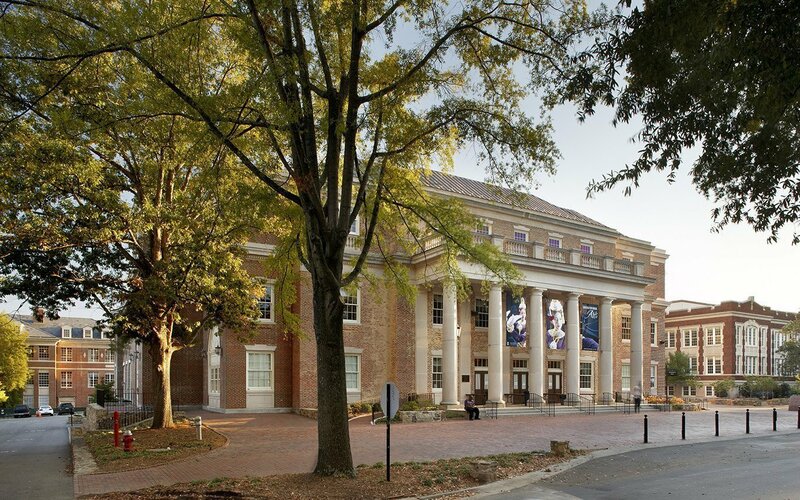 With a tight site and a major campus utilities corridor underground just behind the building, the expansion required careful planning and design. Replacing the stage house provided the opportunity for a new loading dock that includes a scene dock, also imperative for the larger traveling shows. On the interior, additional changes will facilitate traveling shows and larger productions. The proscenium was extended and an orchestra pit with a pit lift was added, as was a new orchestra shell. Additional beneath-stage storage, greatly expanded dressing rooms, and an updated rigging system with greater weight capacity and more line sets also support modern and larger shows. In addition to the back-of-house improvements, much of the project involved improving patron amenities. 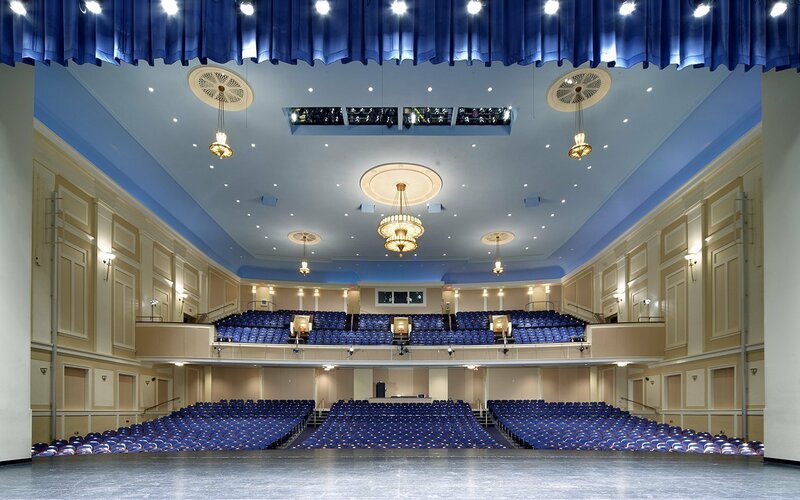 The original building was not air-conditioned; a new system makes the venue more comfortable and permits year-round usage. Lobby space was expanded threefold, toilet facilities twelvefold. New stairs and elevators provide accessibility for all patrons. Seats were replaced, with greater space between rows – significant especially on the main floor where seating had been notoriously uncomfortable. Existing acoustical tiles on the walls were replaced with enhancements that are less obvious, but more effective. The interior of the house was renovated; the team included a historic paint consultant to get the original colors just right. On the exterior, care was taken to match the brick and other materials of the new stage house to the existing building. The result is a seamless update of the University’s grande-dame of performance spaces.